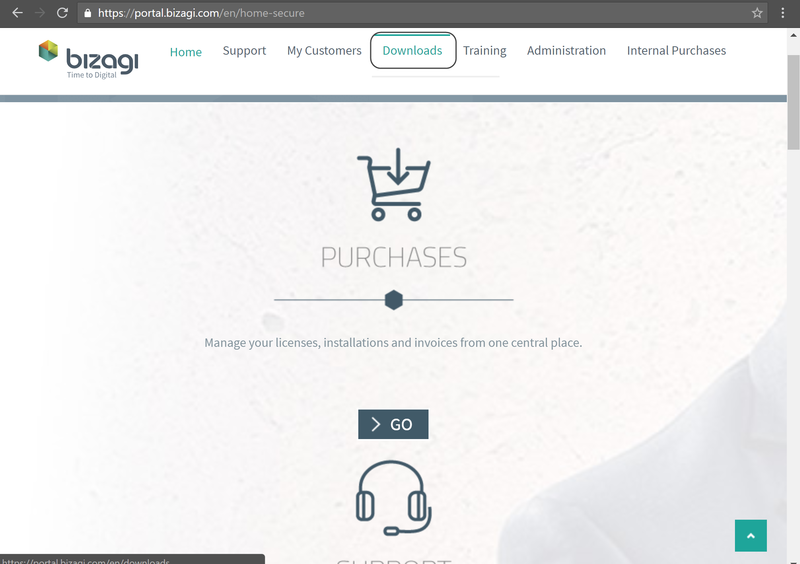 When planning to install Automation Server, you may download the installer directly from Bizagi's official web site. 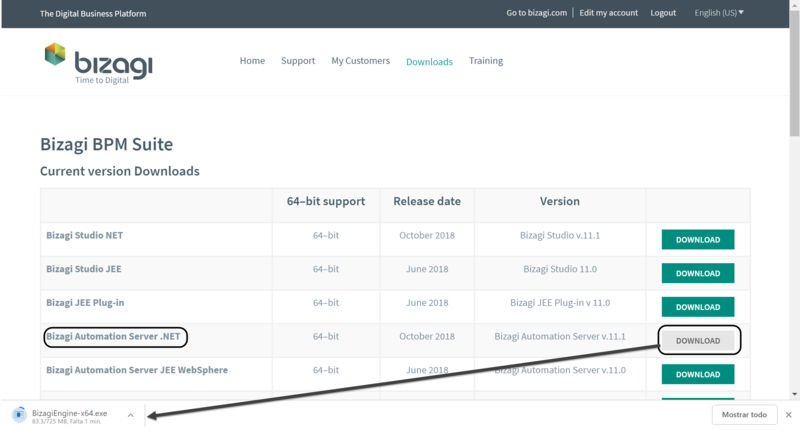 This section illustrates how to download the latest version of Automation Server. Make sure you have purchased the appropriate license for your production environment. 3. In the upper part of the portal page click Downloads. 4. A list of available software appears. Select the Automation Server .NET download option. The download should start automatically and may take a few minutes. Once the download is complete and saved into your local computer, proceed to Verifying the installer.